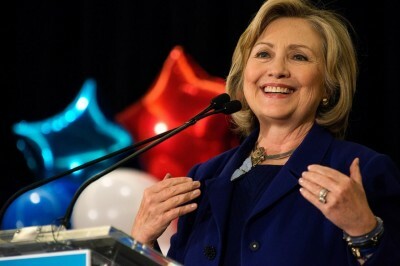 With the June 7th primaries now over, anointed establishment candidate Hillary Clinton has emerged, predictably, as the presumptive Democratic nominee. Unfortunately for Bernie Sanders supporters, it was always going to be like this. Bernie didn’t stand a chance against the ruthless Clinton political machine, which has friends in all the high places. Hillary has pandered to Israel, Saudi Arabia, the military-industrial complex, big banks, the CFR (Council on Foreign Relations), Big Pharma and Big Biotech, and probably every other moneyed special interest you can think of in the American political landscape. MSM (Mainstream Media) newsman Chris Matthews even admitted on air that MSNBC was planning on calling the Californian primary for Clinton before the vote was finished. ZeroHedge wrote that Hillary Clinton and AP (Associated Press) may have colluded to time an announcement just before the California primaries that Hillary had enough delegates to win – despite the fact that the unpledged superdelegates don’t vote until July 25th, 2016. Now, with the primaries basically done, establishment candidate Clinton has emerged as the winner, followed by a string of controversial and dodgy victories such as the ones at Iowa, Nevada, Massachusetts (electioneering by Bill Clinton), Arizona and New York. Yet, with the system rigged as it currently is, and the state of consciousness of the public where it currently is, how was this result ever going to be any other way? Now as we are about to enter a Clinton vs. Trump showdown, watch carefully as the MSM starts to promote Clinton and sideline Trump to ensure their establishment candidate gets elected. Don’t get me wrong – I don’t think Trump is a good candidate either, and I don’t trust him with his alleged Mafia and NWO connections.